Debt due to irresponsible lenders has always been a major problem in the UK, and knowing your rights will be one way to avoid this problem. Lenders will use a number of different ways to entice borrowers into applying for loans or to use their credit cards even though they know they are being irresponsible. It is in the borrower’s best interest and safe financial future to also make sure that they are borrowing responsibly. One of the main reasons behind irresponsible lending is the competitive lending market. Banks and other financial institutions are in competition with each other and they need as many customers as they can. A number of banks have been found guilty of giving loans without checking if the borrowers can realistically afford the repayment amounts. Add to the repayments the charges and fees when borrowers are late with payments and the debt problem begins to escalate. Most people would be perplexed as to why financial institutions would lend irresponsibly if there was no hope of the loan being repaid. Many borrowers will simply come to the conclusion that loans are written off if they cannot be paid, but this is never usually the case. Lenders such as banks and building societies will simply sell these debts on. By selling on the debts the lenders will not be left out of pocket if the borrower defaults, the borrower will then be hounded by debt collection agencies. 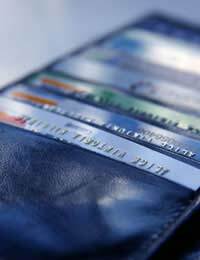 Raising credit card limits without the borrower’s permission. Using misleading or complicated advertising on credit agreements and loans. Lending loans and credit to people without checking the existing financial obligations of the borrower. Lending to people that they know will later not be able to afford the repayments. Lending to people with bad credit records and a history of defaulting on loans and credit cards. Applying payment protection insurance with notifying the customer or when this insurance is unnecessary. Raising overdraft limits without notifying the customer. Raising credit limits on credit cards and overdrafts is a simple form of irresponsible lending. Lenders can apply this service without the need to inform the customer. Customers then find they have more credit to spend and will only realise when the monthly statement hits the doormat. Charges and fees will then be applied if the customer is unable to make the monthly payments due to overspending. This sort of irresponsible lending can lead to very serious debt problems with fees and charges accumulating and spiraling out of control. There are many lenders that will have no problem lending to people who are on benefits or have a very low income. The annual interest rates will be very high and for the borrower it is usually the only option they can take. This can often lead to spiraling debts as borrowers pay off one loan and immediately take out another high interest loan. Borrowers on a low income can find it very difficult to become debt free once they are caught in this repeat loan cycle. Borrowers do have rights when it comes to irresponsible lending. For instance if a credit agreement was advertised in a misleading manner or the contract was unclear then it may not be upheld in a court of law. There are also some basic human rights that are broken every day by unscrupulous debt collectors as an end result of irresponsible lending. Bailiffs and debt collectors must abide by certain rules lain down by the Human Rights Act and can be prosecuted for using harassment. The Citizens Advice Bureau should be the first point of call if harassment actually occurs. There have been a number of cases where lenders have been found guilty of irresponsible lending. If a lender supplies a loan knowing that the borrower will have no chance of repayment then this may be grounds for irresponsible lending. The Financial Services Authority has actually fined lenders for inflating customers’ incomes on mortgage loans. Borrowers should always make sure they can afford repayments on loans. However, they should also keep and eye out for irresponsible lenders who have no regard at all for the borrower’s secure financial future. some years ago i was diagnosed with cancer, at the time i was banking with lloyds, i needed a lot of treatment and had to take a lot of time off work which severely affected my income ,causing me to max out my lloyds credit card (15k), eventually it was decided that my only chance was a bone marrow transplant, which meant a prolonged hospital stay and several months recuperation with only a 70% chance of survival , within days of leaving hospital a lloyds manager called me and invited me in to discuss my finances, at that meeting his suggestion was to give me a 20k loan to pay off the credit card and give me 5k to put in my current account and also restart the credit card to give me more funds, i tried to explain my position to him by showing him the tubes coming out of my chest pointing at my chemo bald head and saying that i didnt know when i would be able to return to to work or even if i would survive the treatment, his response was "ah you'll be alright" and completed the loan, my financial problems increased and eventually i filed for bankruptcy with lloyds being the major creditor, do i have a case for irresponsible lending? I used a financial advisor who's idea it was to get involved in buy to let properties. I was in my 20s with my partner and managed to get 7 mortgages. At one point the monthly repayments for 7 were £3500 a month. I could not afford these repayments if all empty. I got involved in the start as my advisor explained after 10 years your houses triple in price and you'll be a millionaire. Never happened as houses needed work or no rent. I've lost most of them and in serious debt now. Can anyone be accountable for irresponsible lending? @None - The lenders should have asked you if there was another person on the mortgage and would require the other person to sign the forms consenting to the loan. Unless a) you had been economical with the truth or b) you had taken it out the loan in your name only which would then attach to your share of the property and the loan would be deducted from your equity should you split. Possibly not the bank's fault here. I remortgaged my property in 2008 the total of £70,000. It was to invest in a business . My mortgage is joint with my wife and at the time she was not contacted by the bank or interviewed to agree the re mortgage which in truth she is now holding against me . Should the bank have lent me this money without interviewing her ? I am looking for some advice. In 2011 I was giving a premium account with Lloyds TSB which I never asked for. I never fully understood what this account intaled (still dont). I had alot of benefits on this account that I never used or needed. I was very young and very niave to the situation. I was unemployed and was on benefits with two small children. Part of this account was a £500 overdraft which I didnt and still dont fully understand how it worked. At the time the money was helpful as it was just before Christmas. I used the overdraft and kept adding to the overdraft a fair few times afterwards as I was finding my financial situation difficult. I started getting bank charges and before I knew it all my money from my account was being held from me by the bank. I now have bad credit due to this account and the "benefits" that came with it. You need to contact Lloyds TSB and lodge a complaint. Many cards were mis-sold over this time, therefore you may be able to claim back the monthly charges you had to make on the card.